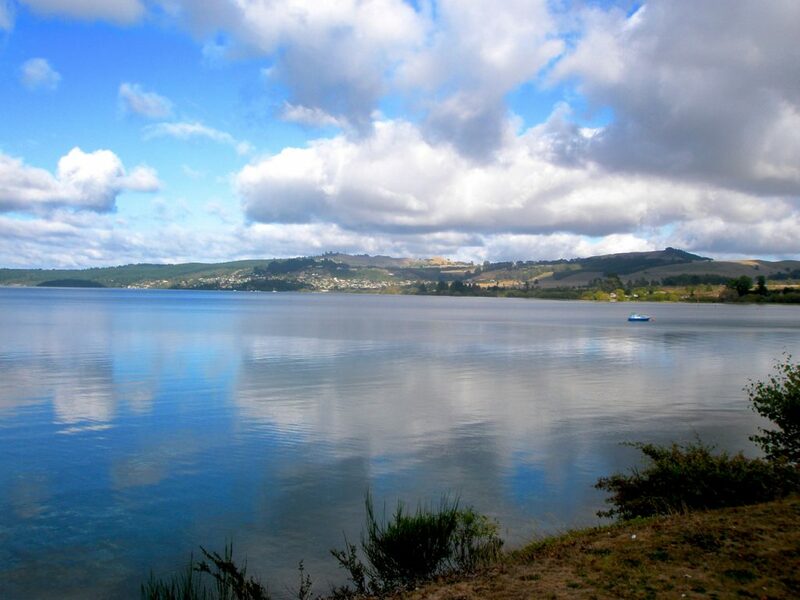 Taupo is located near the center of the North Island, and sits right on the shores of beautiful Lake Taupo. Known widely as an outdoor enthusiast's playground, Taupo has countless activities for the adventurer to take part in- hiking, fishing, sailing, sky diving, bungee jumping, kayaking- you name it, chances are you can do it in Taupo. It’s also one of the launching points for the famous Tongariro Crossing- widely considered one of the world’s best day hikes. Domestic carriers have daily flights into Taupo, and it is easily accessible via bus and hop-on/hop-off tours. Shuttles run daily between Auckland and Taupo. It is about a 4 hours drive south from Auckland, and about 5 hours north from Wellington. 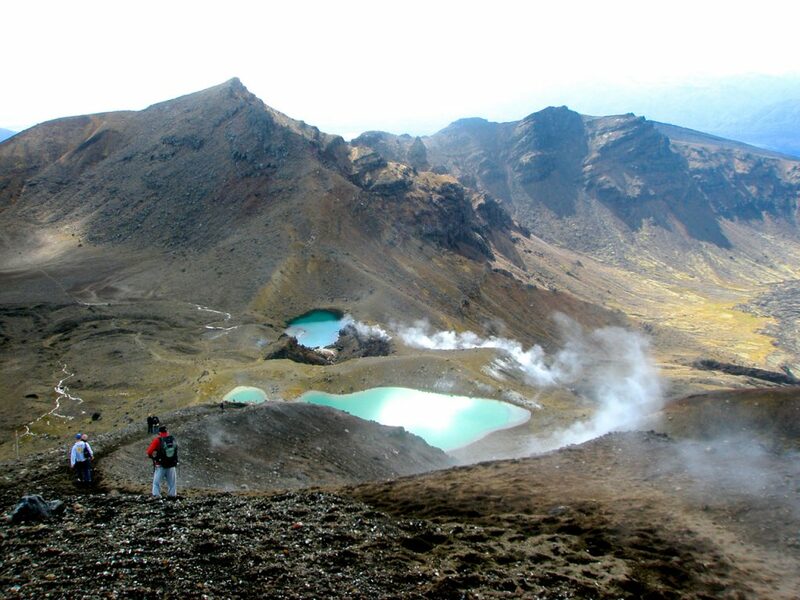 Hike the Tongariro Crossing- widely considered one of the world’s best single-day hikes, the Tongariro Crossing is definitely worth the effort. 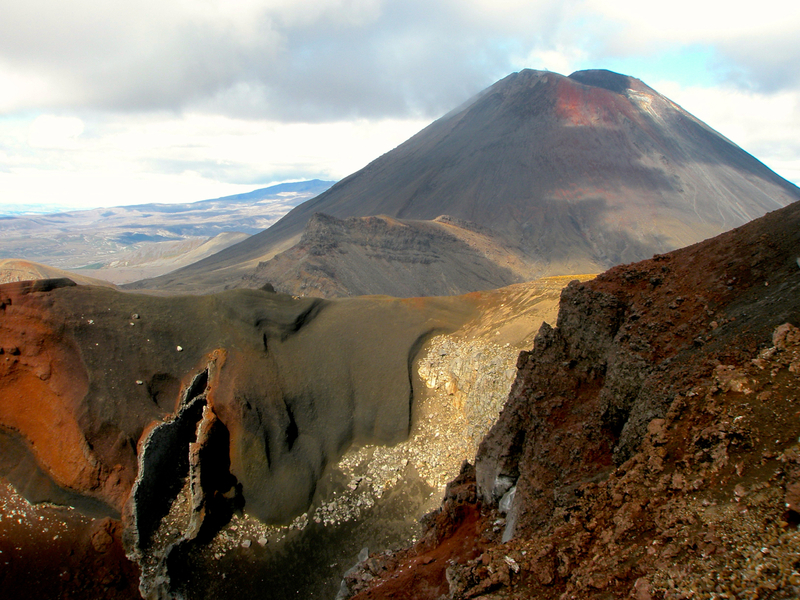 It is an amazing hike through some of the best volcanic terrain the North Island has to offer. Bubbling mud pits, smoldering craters, smoking lakes- you can even hike to the summit of Mt. Doom (Mt. Ruapehu to the locals- made famous in the Lord of the Rings movies). Take plenty of water, and layer up- the weather change change in a flash. 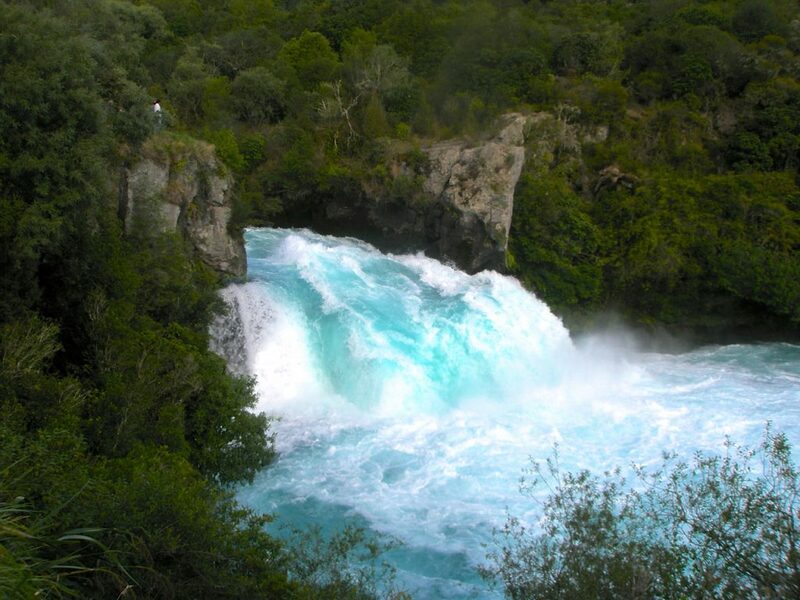 Visit Huka Falls- Located along the Waikato River just outside of Taupo, Huka Falls is pretty amazing. The typically 100-meter wide Waikato forces its way through a 20-meter wide gap, dropping over 20 meters in the process, shooting out into a majestic pool below. It’s a nice 30 minute walk from town. Take the plunge on Taupo Bungy- a scenic, 47-meter bungy jump over the Waikato River. You can opt to get dunked in the water, or stay high and dry. Either way, it’s a good way to get that adrenaline fix on the North Island. Take flight- Taupo is one of the leading places in New Zealand to go skydiving. The lake below, the volcanoes in the distance, the blue kiwi skies overhead- quite the backdrop for an experience you're sure to never forget. When you set out to do the Tongariro Crossing, try to make it to the front of the pack before you get to the Devil’s Staircase. Otherwise, you’ll be held up by slower hikers, and won’t have as much time to enjoy the rest of the trek. Be prepared for the elements- the weather can change in a matter of minutes, and if you’re caught out without layers, you’ll be in a bad spot. There are several free thermal pools around Taupo- ask your hostel’s activities desk for details. Explore the town- Taupo has a lot to offer within the town limits. Poke around and see what you can find.